This study evaluates the effect of management on the undocumented Achai cattle reproductive performance in transhumant farming systems (TFS) and in sedentary farming systems (SFS) in northwestern Pakistan. Data were collected from 172 households in TFS and 270 households in SFS to analyze the effect of farming systems, parity, and calving season on key reproductive traits. The results show that farming systems significantly affect pubertal age, while parity has no significant effect on any of the key traits. The calving season significantly affects the postpartum anoestrus interval in TFS only. 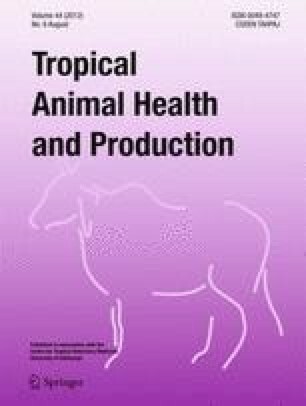 More than 50% of the cows in both systems have postpartum anoestrus intervals and calving intervals within the recommended values for cows in tropical countries. Achai cows have high first-service conception rates (70% and 71% for TFS and SFS, respectively) and require a relatively small number of services per conception (1.53 ± 0.06 and 1.48 ± 0.05 SE for TFS and SFS, respectively). This local breed thus warrants conservation under both farming systems. This study was conducted within the framework of the Joint Research Partnership funded by the Swiss National Science Foundation (SNSF) and the Swiss Agency for Development and Cooperation (SDC). It was also conducted within the framework of the Swiss National Centre of Competence in Research (NCCR) North–South: Research Partnerships for Mitigating Syndromes of Global Change. The NCCR North–South is co-funded by SNSF and SDC, and the participating institutions (project TN3RP15).